The long wait is (sort of) over. The short video pretty concretely confirms that the second season will put players in the shoes of young Clementine, the orphaned girl protagonist Lee Everett (and players) took under his wing and grew attached to in the first season. The last episode saw her cast out into the dangerous, post-apocalyptic landscape on her own, with only the skills she picked up from Lee to guide her. Putting players in her shoes is an interesting move on Telltale’s part, as the relationship players established with her was one of the most celebrated aspects of the first season (and, arguably, one of the reasons the game took home so many Game of the Year awards). With the second season, Telltale seems ready to put that bond to the test by giving players more explicit control whether she lives or dies – exasperated by the fact that Clementine is still very much a child. Of course, there are still many unanswered questions about what shape season two will take – for example, how the 400 Days DLC, which introduced a handful of new characters and left their fates in question, presumably to be resolved in the new set of episodes. The format appears to be the same as the first season – a Telltale press release confirms that the second season will again be five episodes, and purchasing the entire season up front will net gamers a 10 percent discount on the overall cost of the set. The first episode is expected to launch by the end of the year. The Walking Dead is set in the same universe as Robert Kirkman’s long-running Image comic series. Like the comic, Telltale’s adventure game is set in Georgia after a devastating zombie apocalypse – a world that’s violent, bloody and horrifying…and where people must make terrible, impossible choices just to make it to the next day. The first season was a smash hit when it released last year, garnering huge amounts of critical acclaim, massive commercial success and countless Game of the Year awards. Now that you have an idea of how the second season will shape up, how do you feel? 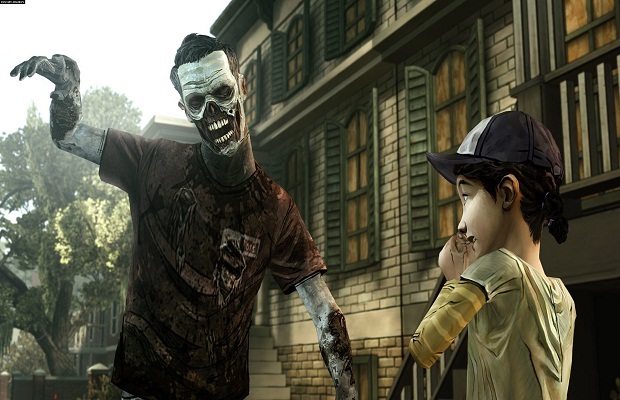 Are you excited to play as Clementine or do you wish Telltale had gone in another direction? Let us know in the comments.